The expression 'Au Bonheur des Rues' is inspired by Emile Zola's novel 'Au Bonheur des Dames' which was about a grand Parisien department store at the end of the 19th century. 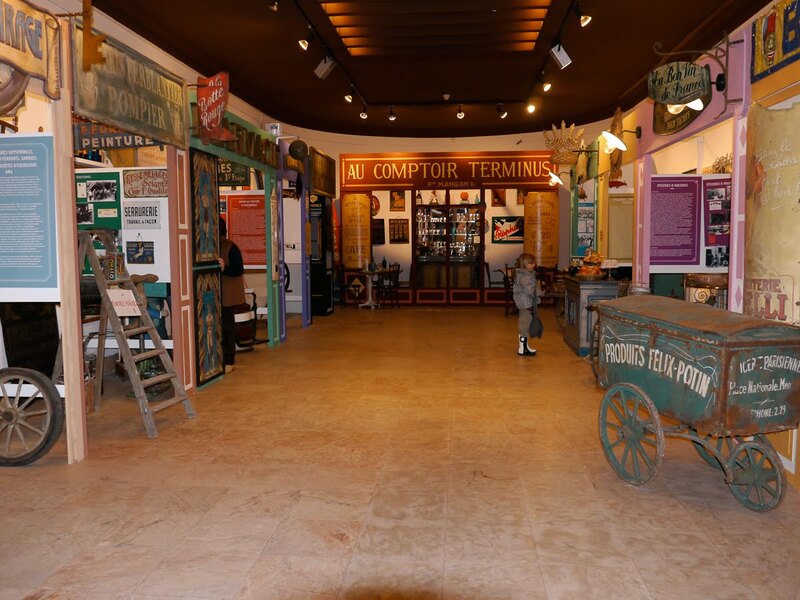 This exhibition presents the shops of Menton as they really were at the end of the 19th century/beginning of the 20th century. Today - the Baker's Shop. Une magnifique exposition appelée "Au Bonheur des Rues" se tient pour quelques jours encore au Palais de l'Europe. 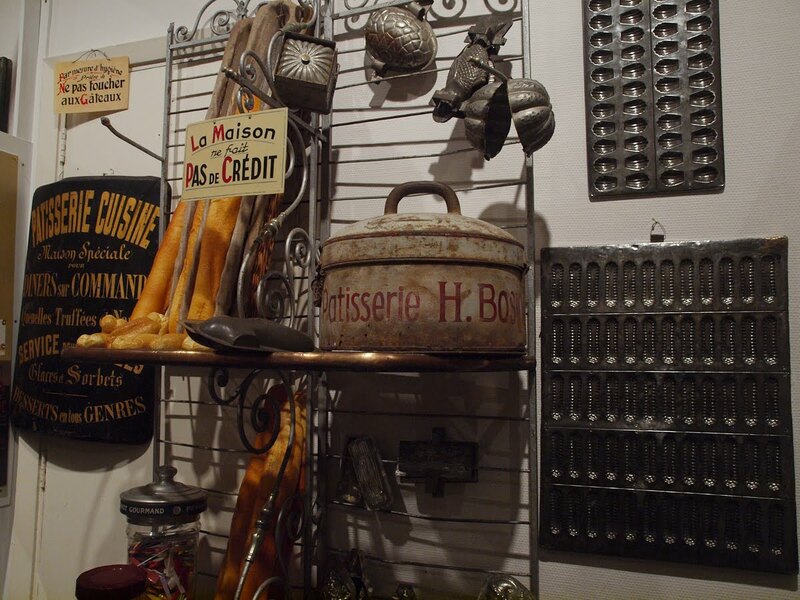 L'expression «Au Bonheur des Rues» est inspirée d'un roman d'Emile Zola 'Au Bonheur des Dames' nom d'un grand magasin Parisien de la fin du 19ème siècle. Cette exposition présente les commerces de Menton tels qu'ils étaient vraiment de la fin du 19ème siècle au début du 20ème. La maison ne fait pas de credit!!!!!!! Bankers beware! My weakness is bread, especially the breads with hard outter crusts and soft white insides. Yummy. 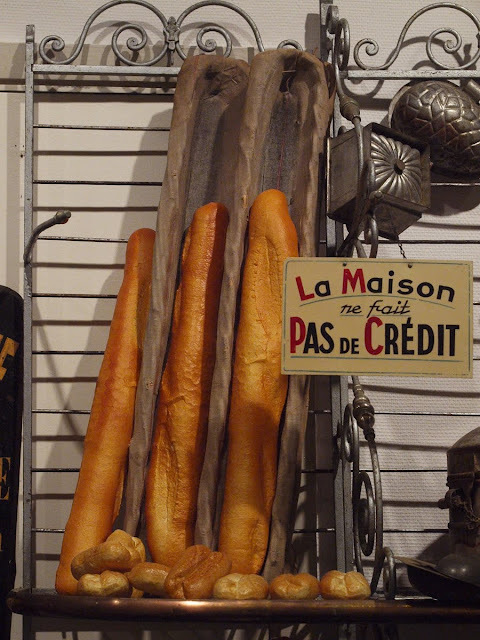 Your top photo makes me salivate; can't find a decent baguette anywhere around here!! I would have liked this exhibition!! 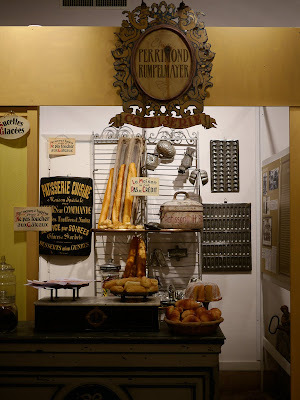 The shops might have changed, but thank goodness it looks like French bread has not changed. Saturday night and finally some free time. There is an American expression "In God we trust. All others pay cash." The first part is on the dollar bill. Now I know the equivalent expression in French. C'est bien sympa cette exposition. Comment se fait-il que ce ne soit pas un musée permanent ? Cela le mérite. What happened to the sunny French Riviera?